Many climate change alarmists have predicted a wide range of calamitous side-effects to be caused by global warming. One such link that frequently surfaces is that global warming will cause the spread of malaria, leading to a world wide pandemic. A new study, just published in the journal Nature, has shown that malaria is actually declining worldwide. Furthermore, proposed future climate induced effects are insignificant compared with the observed natural trend and easily overcome by current disease control mechanisms. In short, claiming that malaria will spread around the globe due to climate change is an outright lie. The current and potential future impact of climate change on malaria is of major public health interest. The proposed effects of rising global temperatures on the future spread and intensification of the disease, and on existing malaria morbidity and mortality rates, substantively influence global health policy. The contemporary spatial limits of Plasmodium falciparum malaria and its endemicity within this range, when compared with comparable historical maps, offer unique insights into the changing global epidemiology of malaria over the last century. It has long been known that the range of malaria has contracted through a century of economic development and disease control. Here, for the first time, we quantify this contraction and the global decreases in malaria endemicity since approximately 1900. Controversial climate scientist, Michael ‘hockey stick’ Mann is still up to his old tricks; he’s now alleged to have assisted a university colleague in obtaining a cool two million dollars for discredited research into malaria. Ace skeptic investigator, Barry Woods has unearthed another useful lead in the corrupt and immoral world of climate science-this time linking the breaking Malaria-gate scandal with Penn. State University bad boys, Michael Mann and Matthew Thomas. We all know the stink of Michael Mann but who is Thomas? He’s Penn. State's Professor of Entomology and like Mann has been doing overtime trying to salvage the remnants of the discredited man-made global warming theory. Thomas is under the spotlight because he's just been discredited as an expert in the field due to the recent publication of ground-breaking research on malaria in Nature (Gething et al. (2010)). 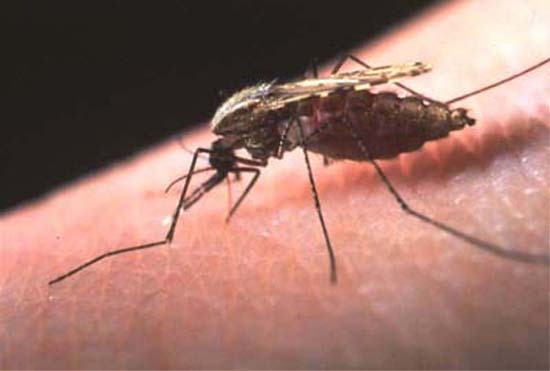 The new study proves there is no link whatsoever between malaria and climate. In fact, Gething’s data shows the mortality rates from malaria are actually in decline-a body blow to the hype of doomsaying establishment junk scientists. The Nature study is a gamechanger on climate issues involving malaria so that politicized alarmist advocates like Thomas will soon be classed as ‘sub-prime’ experts in this field. Thomas had steadily built a lucrative business for himself as Professor of Entomology, at Penn State's Center for Infectious Disease Dynamics. He boasts a published exploration of the ecology and evolution of "enemy-victim" interactions (malaria).